It's always a special day when you find out that your own personal fave is getting the due recognition they so deserve. Case in point, John Krasinski is going to help announce the 2016 Oscar nominations, which, sure it's not an Oscar, but it's a pretty big deal, especially for those of us who have loved and appreciated Krasinski since The Office premiered over a decade ago. That said, has John Krasinski ever been nominated for an Oscar himself? Let's take a closer look. After doing some digging, I found that, unfortunately no, the 36-year-old has not yet been nominated for an Academy Award. But you know what? With three movies coming out in 2016, it doesn't seem so far out of sight. 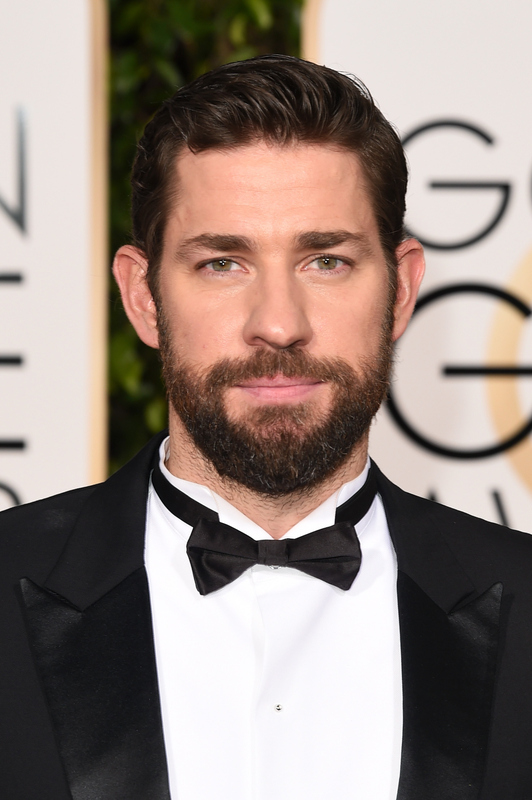 This year Krasinski will gift us with performances in 13 Hours: The Secret Soldiers of Benghazi , The Hollars , and he'll even be lending his voice talents to the animated film, Animal Crackers. Finding out that the actor hasn't been nominated for an Academy Award is kind of a bummer, considering he's constantly produced memorable work. But there is a bright spot in all of this, I assure you, because Krasinski has been nominated and gone on to win other awards. The Oscars are not the end all and be all of the film accolades. Though, OK, yeah, they may be the most coveted ones. Prepare to be impressed. The actor has two Screen Actors Guild awards and five nominations for Outstanding Performance by an Ensemble in a Comedy Series for The Office. And his Primetime Emmy nomination for Outstanding Special Class: Short-Format Nonfiction Programs for The Office isn't too shabby, either. Of course, these more high profile awards aren't including Krasinski's Sundance nomination for the Grad Jury Prize: Dramatic for Brief Interviews with Hideous Men, which he wrote, produced, and directed, his two Online Film & Television Association Television Awards wins and one nomination for Best Supporting Actor in a Comedy Series for his role in The Office, and his National Board of Review Award for Best Acting by an Ensemble for It's Complicated. Other awards he's received? One for Outstanding Actor: Comedy Series for The Office at the Monte-Carlo TV Festival and a Behind The Voice Actor Award for Best Vocal Ensemble in an Anime Feature Film/Special for The Wind Rises. And, lest we forget, his two Teen Choice noms for Choice Movie Actor for Something Borrowed and Choice TV Actor: Comedy for, yet again, The Office. So you see, Krasinski is far from hurting for awards. But I think we can surmise that these accolades are all leading up to a much bigger award on the horizon. I suspect that soon, the answer to, "Does Krasinski have any Oscar nominations?" Will be a resounding, "Yes!"